Asiatique is the most popular night market that gives visitors two shopping experiences of a night bazaar and a mall. It is located only 10 minutes from BTS Saphan Taksin Station. There is also a free shuttle boat taking people from BTS Saphan Taksin Station to Asiatique. This place was previously a busy international trade port. Now, it has turned into an imitation of warehouse complex holding more than 1,500 tiny shops and 40 restaurants. 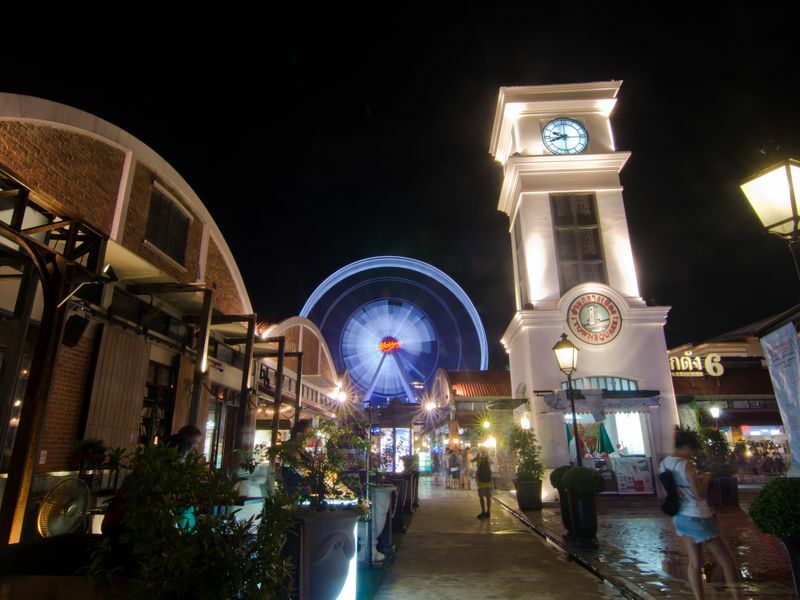 Asiatique opens only in the evening from 5 pm onward. Visitors can enjoy selecting a wide variety of items at boutiques and find many kinds of cuisines to pick from at Asiatique. For an entertainment, there are also shows performed at night. The most famous shows are Calypso, ladyboy cabaret show and Joe Louis Theatre,a classic Thai puppets performance. There are four districts at Asiatique. Most of the tiny boutiques selling souvenirs, handicrafts, jewellery, and clothing are in Charoenkrung District separated into four warehouses with each different kind of goods. There are vast selections of merchandise to see from fashion Thai brands to stores selling items similar to those sold in Chatuchak or MBK. The popular zone is the Factory District which sells trendy fashion quality clothes and cutting-edge gadgets, including an Apple store. At the Water Front District, visitors can find a more proper dining restaurants, either Italian, Thai or seafood restaurants. The last section is the Town Square District which locates bars and outdoor space for events. Cafés are spreading all over Asiatique offering strong drinks and decent Thai food. The chain restaurants, i.e. KFC, Pizza Company, Au Bon Pain and MK are also available here. Moreover, tourists can enjoy the two most famous shows; Calypso Cabaret and Joe Louis Theatre. 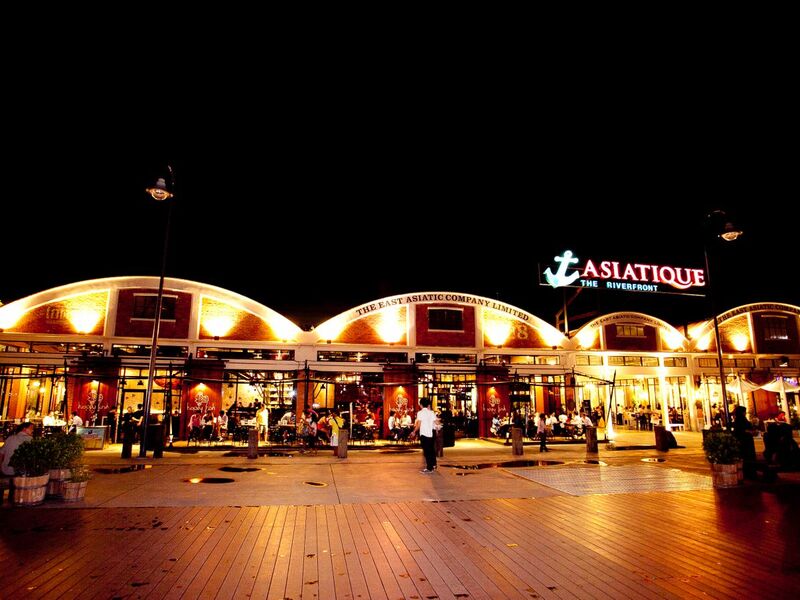 Asiatique is the perfect place to spend an evening at and you will love it! 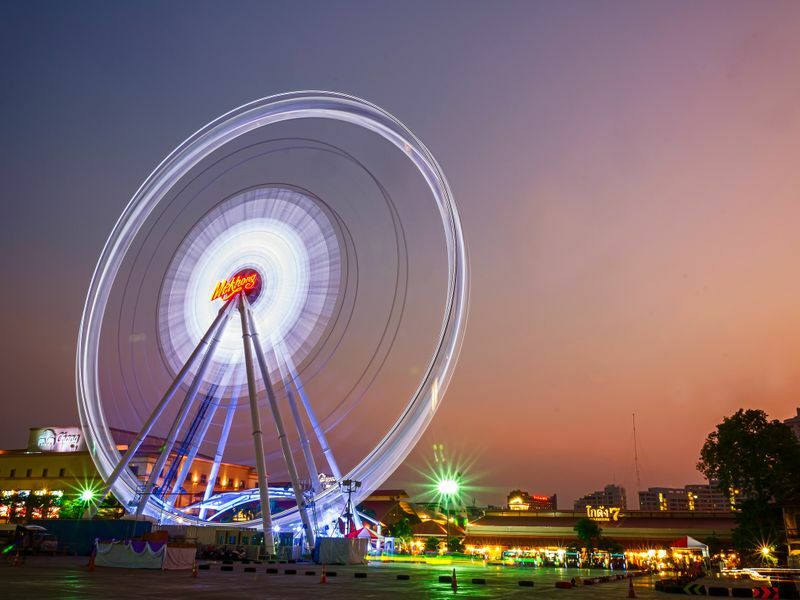 Asiatique has been holding Bangkok residents' and tourists' hearts for the past 5 years. It revives the quiet riverside area and gives you a space to chill out with cool river breeze. Many locals do come here to dine out or have some drinks with their family and friends.